The female accomplice of a gunman involved in the Paris killings is believed to have left France before the Friday attacks, and has crossed the Turkish border into Syria, Reuters reported, citing security sources. Boumeddiene is reportedly a partner of Amedy Coulibaly, who is believed to have shot a policewoman on Thursday before storming into a Parisian kosher market on Friday, where he shot four hostages. Coulibaly was killed in a police assault. A source told Reuters that Boumeddiene left France last week and took a plane to Syria via Turkey. “On January 2, a woman corresponding to her profile and presenting identity papers took a flight from Madrid to Istanbul,” a source familiar with the situation told Reuters. She reportedly had a return ticket for January 9, but never took that flight. Boumeddiene was traveling with an unnamed man. A senior Turkish security official revealed that France and Turkey are now cooperating in the search. “After they informed us about her ... we identified her mobile phone signal on Jan 8,” the source said. “We think she is in Syria at the moment but we do not have any evidence about that ... She is most probably not in Turkey,” the source said, adding the last time her phone appeared online was Thursday. 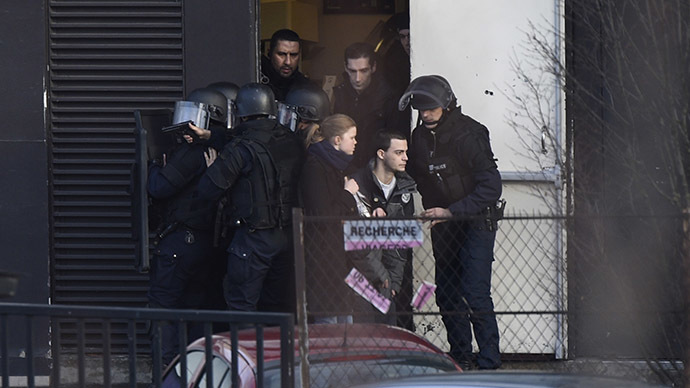 An official photograph of Boumeddiene released by French police depicts a young-looking woman with long dark hair. Meanwhile, French media released other photos, showing her fully-veiled with a cross-bow. The caption of the picture states that the shot is from a training session. According to various reports, Boumeddiene is one of seven children. Her mother died very young and her father struggled to support the family financially. She is said to have allegedly lost her job as a cashier after she began to wear a niqab, following her conversion to Islam. Le Monde reported that she got married to Coulibaly in a religious ceremony in 2009, which is not officially recognized by French civil authorities. According to the same report, the pair was questioned by police in 2010 and Coulibaly served time in jail for his involved in a failed attempt to help the author of a deadly 1995 attack on the Paris transport system escape from prison. 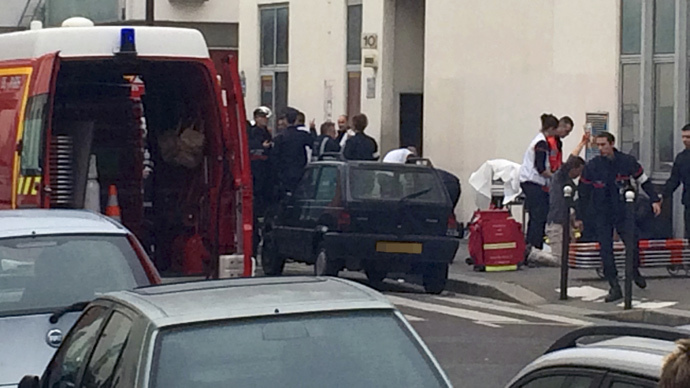 Police found out that Boumeddiene was also connected to the Cherif and Said Kouachi, the two gunmen behind the attack on Charlie Hebdo’s headquarters in Paris on Wednesday, where 12 people were shot. 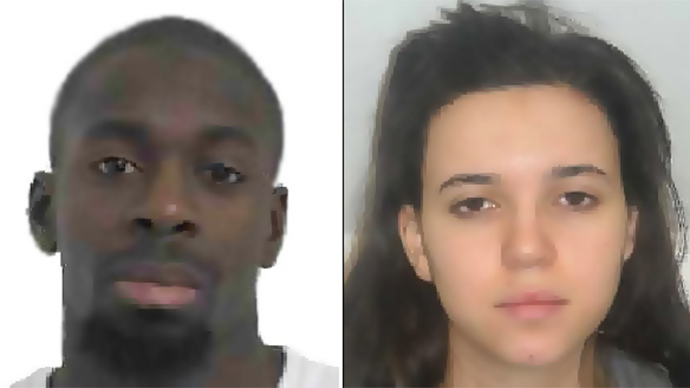 Paris prosecutor Francois Molins said that Boumeddiene kept a close touch with Cherif Kouachi’s wife. Around 500 phone calls have been uncovered between the two of them just in the last two years. Kouachi’s wife is currently being questioned by police. 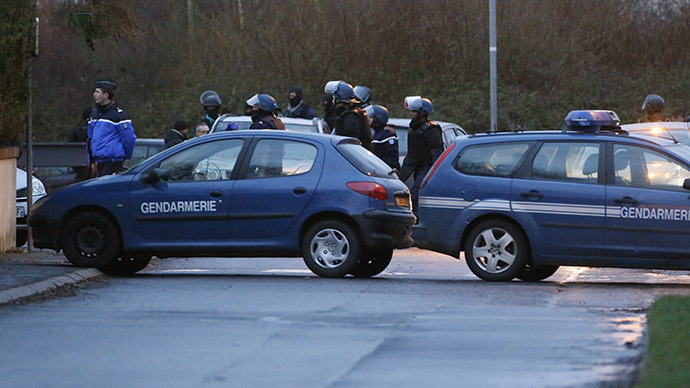 There have been conflicting reports as to Boumeddiene’s involvement in the Paris attacks. 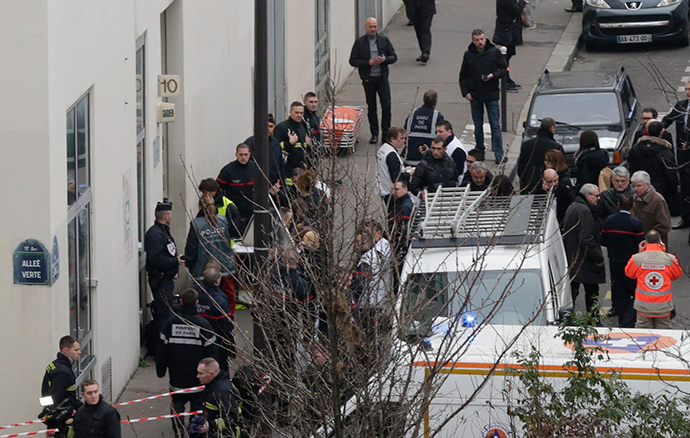 Some media claimed that she was present at the shooting of a policewoman by Coulibaly on Thursday, others originally reported she was at the Paris kosher market with the gunman on Friday.